Winter: Kai, just Prince Kai. Need I say more? Kai is just so perfect…can he be my boyfriend? Please? Anyway, it was really nice to meet back up with all the characters. I found the conclusion fantastic and I wish the series would go on and on. 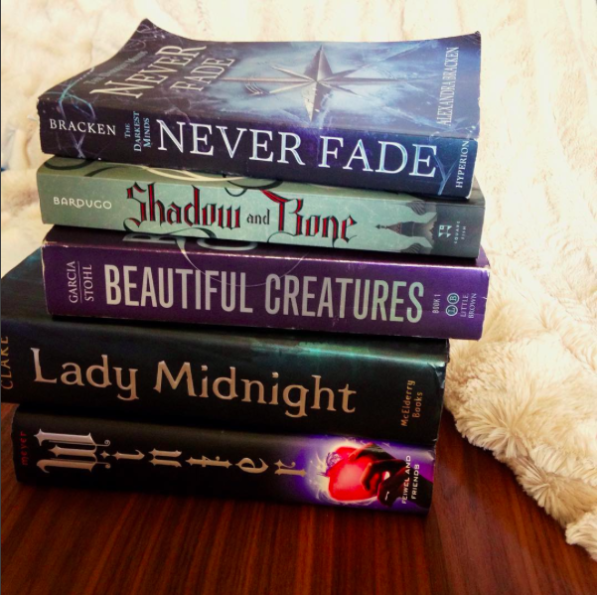 Thankfully, there are two novella bind-ups I can read, Fairest and Stars Above! “Why are all these paintings of you? Because I’m an artist, Emma. These pictures are my heart. And if my heart was a canvas, every square inch of it would be painted over with you.” -page 540, Julian Blackthorn to Emma Carstairs. This quote makes me swoon and smile. I love Julian so so much and I love him even better with Emma. Beautiful Creatures: I like Lena, a lot. Her bedroom is perfect and so are her clothes. Can I just be her? Wait, no. I don’t want to be Lena Duchannes. Shadow and Bone: “FINE, MAKE ME YOUR VILLAIN”. That is all. The Darkling is absolute perfection, okay? 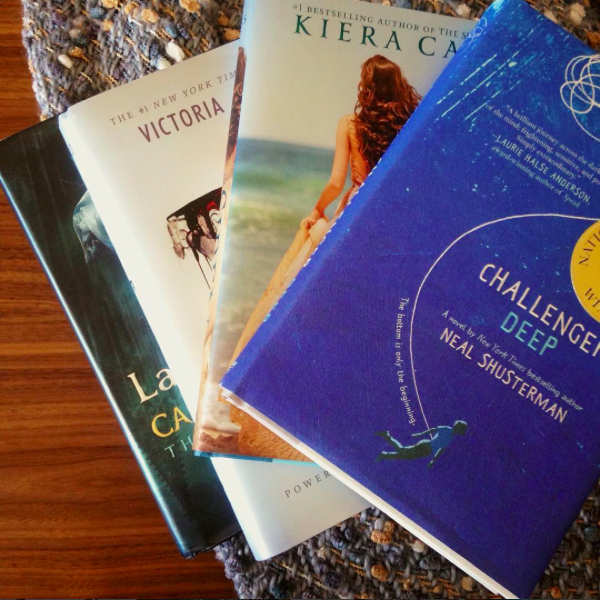 Lady Midnight, Red Queen, The Siren, and Challenger Deep. I have only read LM, but I am excited for the rest! -I finally found a theme I like on Instagram, let’s see how long that lasts. -Julian and Mark Blackthorn are my new boyfriends, no debate. -I started the hashtag “Songs and Sundays” and am actually having a lot of fun with it! Anyway, I hope you had a great March as well!